There were many famous people aboard the RMS Titanic the day it went into the ocean....Some survived, some didn't. On this page I'll bring you up close and personal with a few of them. Son of Thomas Henry Ismay. Thomas Ismay bought the failing White Star Line in 1864.After leaving school Joseph Bruce Ismay began working in his father's office for four years.He then moved to New York for a little while to work at the White Star Line for a year.After the death of his father Bruce Ismay was named head of the business.In July 1907, Ismay and Lord William James Pirrie partner of the ship building firm Harland & Wolff had a discussion over dinner where the plans for Titanic and her sister ships were born. When one of the lifeboats were being lowered around 1:40 PM Chief Officer Wilde called out for more women and children but when none answered the call, Ismay hoped into the boat along with 1st Class passengers. For the rest of his days, Ismay was pilloried and branded a coward. Born in Belfast Ireland. He was the nephew of Lord Pirrie, partner of Harland & Wolff, builders of the Titanic.After leaving school he went to work as an premium apprentice.Eventually became the managing director of Harland and Wolff, and was put in charge of designing.Andrews made it a point to travel with a team of mechanics on the maiden voyages of the ships he built. Some of those ships include Adriatic, Oceanic, and Olympic. He decided to also sail on the Titanic's so that he could observe her operation and recommend any improvements. It would be the last trip he would ever make again. 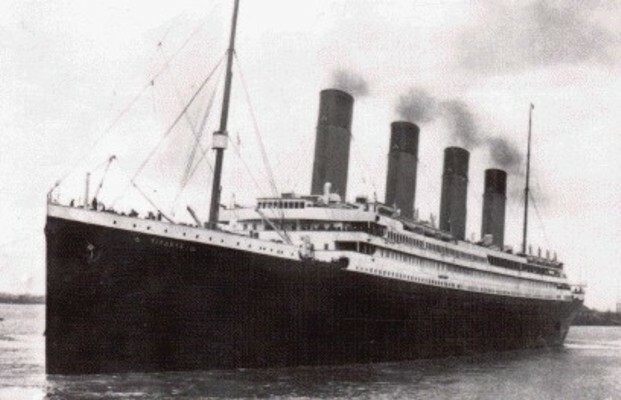 Titanic carried a number of the wealthiest people in the world. First Class passengers included Colonel John Jacob Astor and his wife, returning from a European voyage. Isidor Straus, a director of the famous Macy's department store, who with his wife Ida, had been traveling in the south of France. Margret Brown "The Unsinkable Molly Brown". During the sinking of the Titanic she helped command a lifeboat, oaring and directing the oars, and afterward on the rescue ship Carpathia nursed ill survivors through long hours. The American press celebrated her as the Unsinkable Mrs. Brown. George Widener, one of the richest people in Philadelphia, Pennsylvania, along with his wife Eleanor and son Harry. William Stead, author and editor of the periodical Review of Reviews. The distinguished industrialist Benjamin Guggenheim. After confirming that Aubart and her maid were safely aboard a lifeboat, Guggenheim and Giglio went back up on deck, where according to legend, they sat and sipped brandy and smoked cigars while waiting for the ship to sink. All eight of these men died the night of April 15,1912. 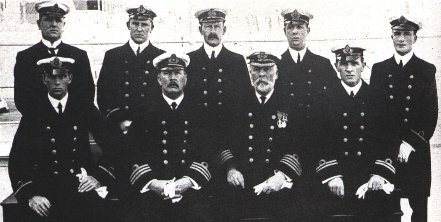 They were some of the unsung hero's of Titanic. Instead of fleeing for their lives they stayed and played music to keep the passengers calm. They will be forever remembered by their acts of courage that fateful night. 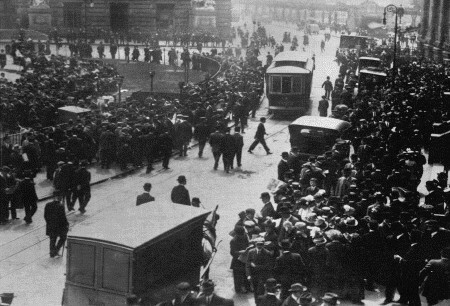 Second Class passengers included the British school teacher Lawrence Beesley, who would later write a telling account of the events surrounding Titanic's sinking. Beesley kept attentive mental and written notes during the voyage. Also in Second Class were Benjamin and Esther Hart, along with their daughter, Eva. Mrs. Hart however was quite uneasy about having to travel on the Titanic. So strong was her premonition of misfortune that she refused to sleep during the night. Had she been sleeping when Titanic struck an iceberg, she likely would not have noticed the slight bumping it caused on impact. One Third Class passenger was Henry Sutehall of Kenmore, New York. He had traveled with a friend across the United States, then to Australia and eventually back to England before finally booking passage on Titanic. He was returning home after a worldwide voyage of nearly two years. Swedish passenger Carl Jansson was also in Third Class. As he prepared to come up on deck after collision with the iceberg, he noticed that water was sloshing around his feet before eventually reaching his ankles. Pictures Provided By COPYRIGHT© 2000, 2001 RMS TITANIC, INC.
Captain Edward John Smith, Lost 15th April 1912. Chief Officer Henry Tingle Wilde, Lost April 15th 1912. First Officer William McMaster Murdoch, Lost 15th April 1912. Second Officer Charles Herbert Lightoller, died 18th December 1952. Third Officer Herbert John Pitman, died 7th December 1961. Fourth Officer Joseph Groves Boxhall, died 25th April 1967. Sixth Officer James Paul Moody, Lost 15th April 1912. Senior Marconi Operator John George Phillips, Lost 15th April 1912. Junior Marconi Operator Harold Sidney Bride, died 29th April 1956. Without whom more lives might have been lost.